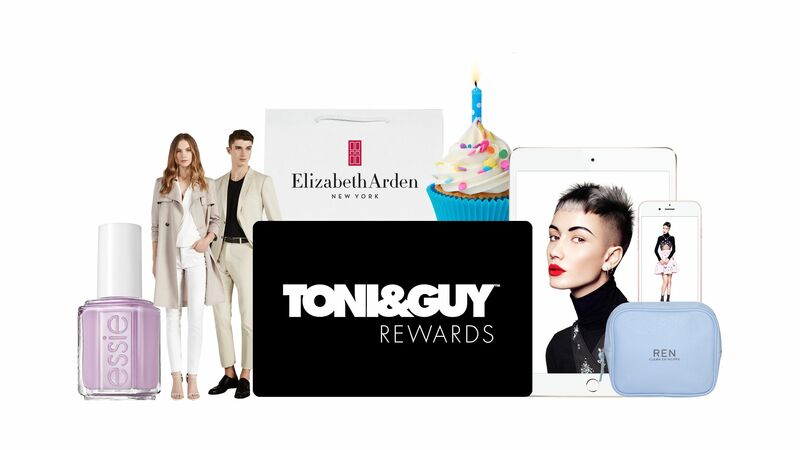 Discover exclusive competitions, offers and gifts with the TONI&GUY Rewards Card. Earn points for every £1 spent and redeem against your hair services and products. What’s more, every month we team up with one of your favourite fashion, beauty and lifestyle brands for the most exciting offers, just for you! Visit your local salon to sign up and start benefiting today. To start benefiting today, visit your local TONI&GUY salon to sign up. The Rewards Card is valid at the issuing salon only. To collect points for a transaction, your Rewards Card must be presented at the time of purchase. Redemption of style points cannot be used in conjunction with any other offer, concession or voucher unless otherwise stated. The Rewards Card is non transferable and only one Rewards Card is permitted per customer. By registering your details for a Rewards Card you are opting in under the terms of the Data Protection Act thus allowing us to hold your hold information. This information will be held securely. We may share your information with our franchisor for use by it and its group but it will not be passed to any other third parties. Your information may be used for marketing purposes in relation to offers from TONI&GUY and its partners. TONI&GUY is a franchised business. For details of the company providing the Rewards Card, please ask at reception of the issuing salon.